HomeCittaslowTo eat DOP Teruel ham makes your live longer. 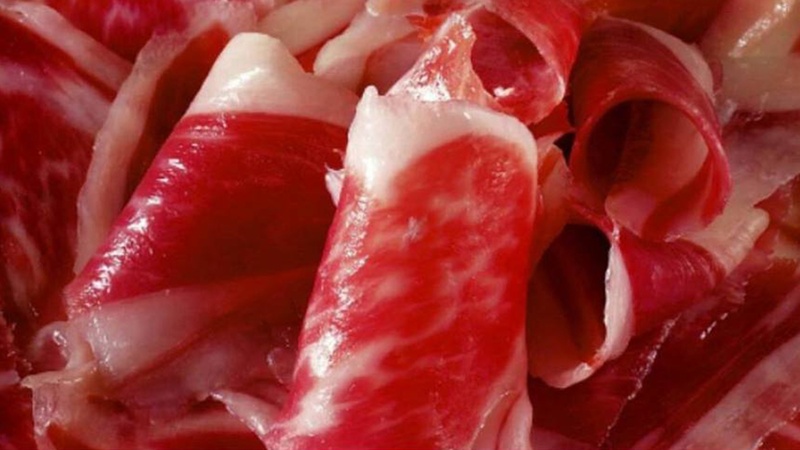 To eat DOP Teruel ham makes your live longer. This days it is talking more about how the food influences in our body and therefore in our longevity. We all want to have a long and healthy life and this is not “out of our reach” if we take care of our habits, understanding that the sooner we understand how important it is to take care of our body, the more it will be returned in terms of health and wellbeing. Our health is largely influenced by food because it is the “gas” that we bring to our body daily. Lengthening our lives healthily and with good looks is possible by carrying out good nutrition. However, longevity is only marked by 20% by our genetics, with the remaining 80% being our lifestyle. Why our DOP. Teruel ham make life longer. At Jamones Pastor we elaborate the only DOP. Teruel Ham made exclusively with sea salt; it is a 100% natural ham. It is our main hallmark; the rest of manufacturers use an excess of salt and sugar as well as nitrifiers and dyes to make the process financially cheaper and more harmful to our health once we consume it. At Pastor, we take care of our clients’ well-being, since we believe that good gastronomy can be enjoyed in a healthy way. Our DOP Teruel Ham is rich in antioxidants as well as oleic acid, whose levels are around 52% of it and which helps to reduce cholesterol and triglycerides. We elaborate the ham in a totally traditional and manual way, as well as not using any ingredient other than sea salt from the Mediterranean sea, therefore this way to produce ensure that the ham retains higher levels of antioxidants and oleic acid, as mentioned above, vitamins B1, B6 and B12. As data, the product that more oleic acid contains in the market is extra virgin olive oil, with 80% levels; on the other hand, a Teruel ham which is not Pastor contains around 35% of oleic acid, which is 22% less than the Pastor Ham. Other foods that make life longer. Fish: It has a great antioxidant power, rich in proteins and fatty acids such as omega 3 that help to have a good cardiovascular health and in turn decreases the chances of suffering arteriosclerosis. Extra virgin olive oil: It has great antioxidant qualities and is directly associated with an increase in life expectancy in all those countries where it is consumed. It decreases the probability of suffering myocardial infarcts as well as prevents cognitive deterioration in old age. Whole grains: They have an antioxidant character which makes them convenient to incorporate them into our diet. They have a high fiber content and quality carbohydrates. Its consumption is related to a lower obesity as well as a lower risk of suffering from diabetes; they also prevent colon cancer as well as help reduce “bad” cholesterol (LDL). Legumes: It is one of the most present foods in the Mediterranean diet, they are a complex carbohydrate of slow absorption that contains a lot of protein, fiber and minerals. They help to reduce LDL cholesterol as well as its consumption is associated with low obesity. Fruits and vegetables: They are the best antioxidants due to their large amount of flavonoids. Rich in fiber, water, proteins, minerals, vitamins, healthy fats make them a “superfood”. They reduce the risk of heart disease and cancers. Foods that shorten our life. Spain is one of the countries with more longevity in the world, however it is also one of the countries in which colon cancer has increase more in the population. This is due to a great development of food technology, through which the cost of food production has been reduced, as well as the expiration date and a few other bad practices. We list a few such as processed foods, canned foods, foods to which chemicals have been added to prolong their lives, etc. The generations that precede us practically did not get sick and consumed fats of all kinds, unprocessed meats from animals that ate grass, etc. Nowadays, when incorporating the foods mentioned above, nutritional deficiencies have begun to be generated that can be determinant for the appearance of degenerative diseases as well as cancer. 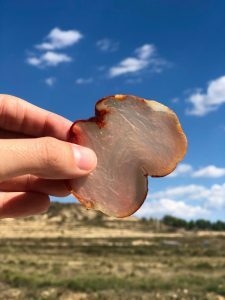 It’s called “Cittaslow” to have a healthy life and to look for a slower rhythm of life consuming healthy foods, like the one we have in Rubielos de Mora to produce our natural ham, adds to the time of making our life more long-lived.